Great Adventure Club - Fly Zone Bodyflight! Our Great Adventure Club has done some amazing things. We've sailed through the sky, rode down snowy mountains, and explored hidden trails. Now we can add "flying" to that list. 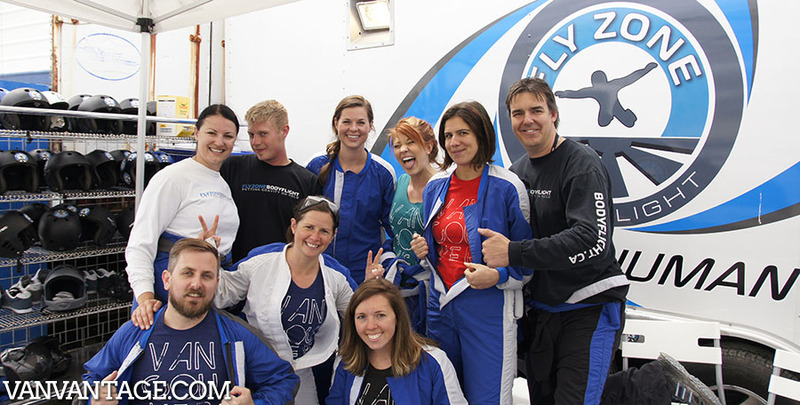 Thanks to the AMAZING people at Fly Zone Bodyflight, some of our Vancouver, we love you crew and supporters were given the opportunity to experience the art of flight. 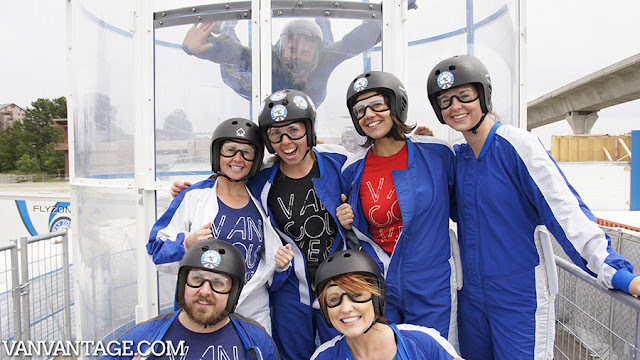 After getting suited up in our awesome flying gear and given a quick instruction we walked into the wind tunnel, one by one, and were lifted into the air. The massive smiles we have in every photo are evidence of how much fun it is. 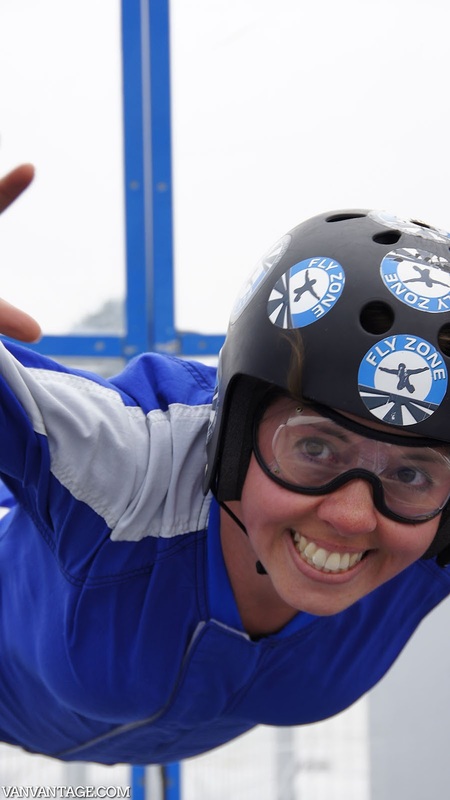 If you've ever wanted to try skydiving but have been to scared to "take the plunge," Fly Zone is definitely for you. 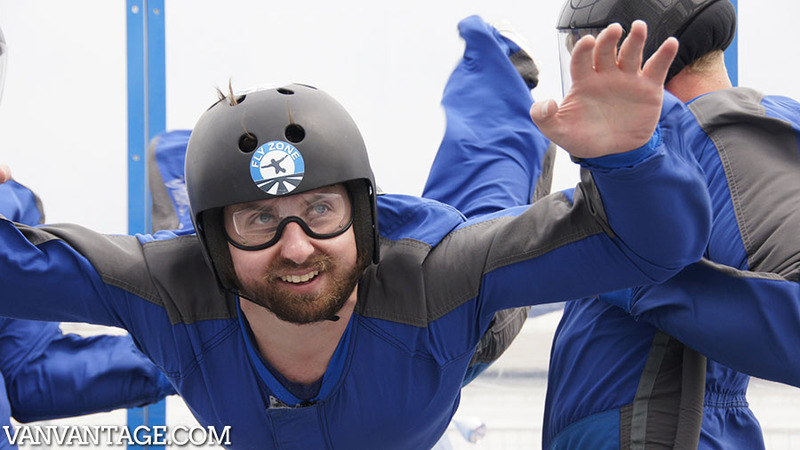 If you've tried sky diving already but are looking to practice your technique in preparation for your next flight, Fly Zone is a great tool as well. 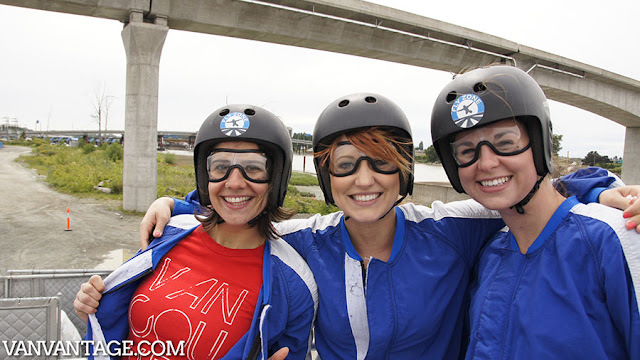 Thanks to our great instructors Jesse and Kat for keeping us flying safe! Fly Zone is located right on the edge of the Richmond Night Market and is open on the weekends till late, so plan a night out and do both! Reserve your flight today, space is limited. Check out more photos by clicking "Read More." And thanks to Vancouver Vantage for coming along to snap some photos too (more here)! If you're a local adventure company that would like us to drop by and check out what you do, email us! We always like to have fun and would love to come visit. Any time you'll have this crazy group back we'll be there!! Thanks again.